Usually, I don’t write in English here at addicted to motorsport. But this time it’s about John Shoffner (USA) and his frightening crash at VLN6, so I thought it’s better to leave him a message in English. 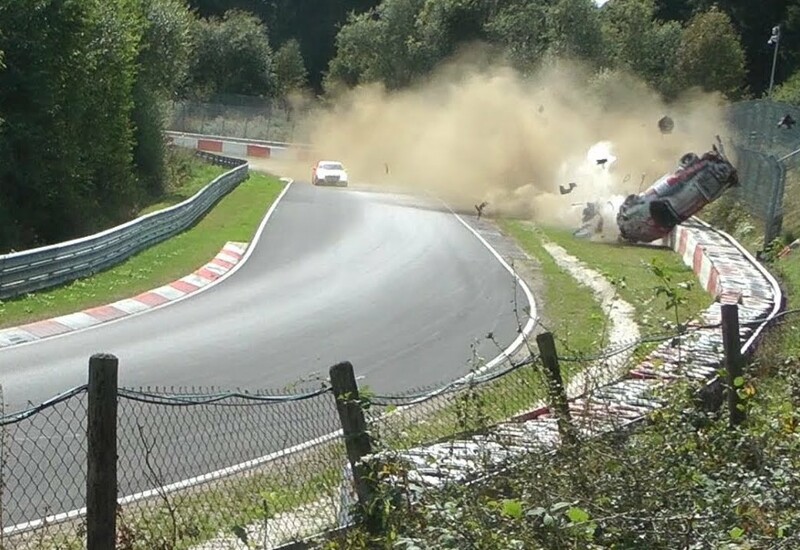 It was Sunday evening when I saw the video of a Porsche doing nine and a half rolls at Flugplatz after he got sent airborne by the curb. Definitely a very very hard crash. Luckily the car seems to be in relatively good condition after flying around like a fidget spinner. A few of the comments said, that the driver was okay and left the car on his own, so I was thankful for the high amount of safety a modern GT car is able to provide and kept going on with my Sunday evening schedule which mostly consists of chilling at the couch and watching Netflix. Later that day our friend Velten Zein sent me a message. 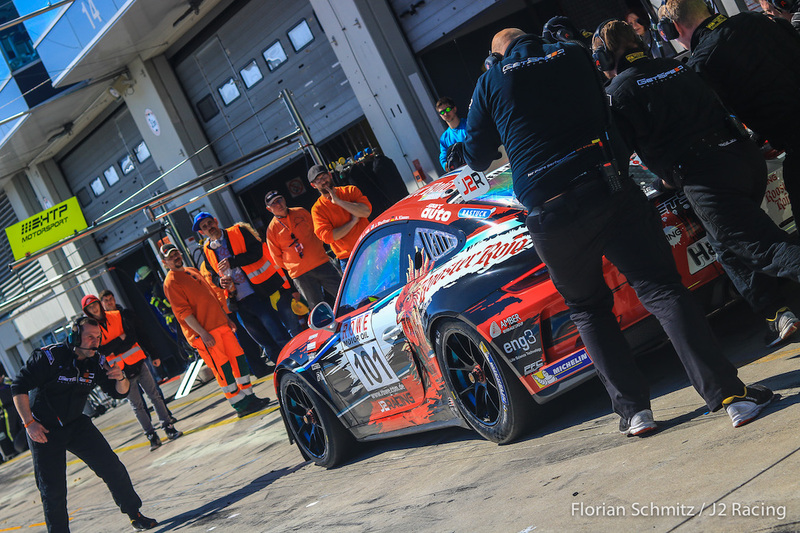 He said it was the Porsche 991 GT3 #101 of J2 Racing (John Shoffner, Janine Hill, and Arno Klasen), which went airborne at Flugplatz. John Shoffner was behind the wheel. From this second it turned in a different kind of story for me because Velten’s Brand B.R.M. Chronographes Germany is one of the sponsors of J2 Racing and he knows the drivers and team very well. Further on he wrote that he was worried about John‘s condition after he got informed about the crash. When you’ve seen the video of John’s crash you will truly understand that for sure. According to Velten and the team, John was brought to the hospital in Koblenz where he was treated by the intensive care unit for the first night. On Sunday he felt no pain anymore and he was in a good condition that he left the intensive care unit. Anyway, he has to stay at the hospital for a few days. It’s a wonder that John did not sustain any more serious injuries after this horrific accident. So even if we don‘t know you in person, John, we hope you will get well soon. 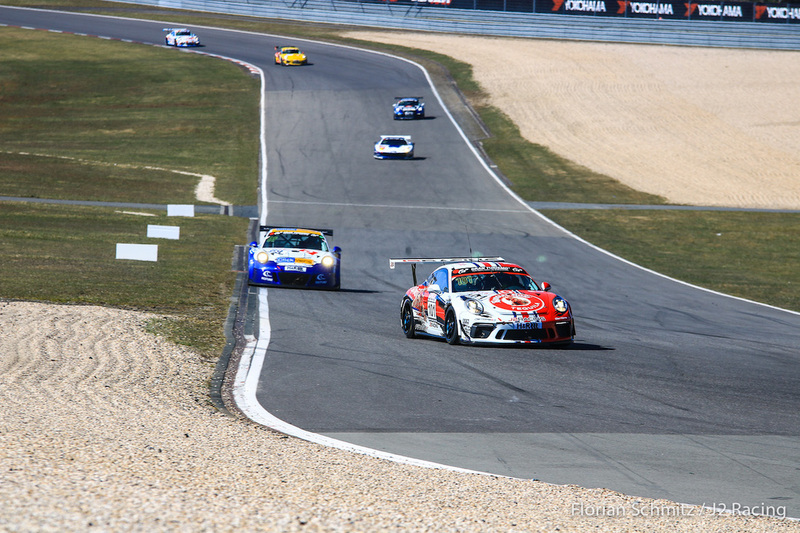 We – and many other fans of the VLN – are looking forward to seeing you driving a fast car around the Nordschleife again.